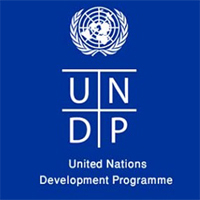 The UN Joint Programme (JP) for Kigoma takes its base in the UNDAP II, the UN Development Assistance Plan for Tanzania, but also the Sustainable Development Goals and the Great Lakes Regional Framework strategy, as well as the Tanzania Government's 5-year plan and the regional priorities for Kigoma. The JP consists of the 6 themes of energy and sustainable environment, youth and women's economic empowerment, violence against women and children, education with a focus on girls and adolescent girls, WASH (Water, Sanitation and Hygiene) and agriculture and being implemented mainly in Kakonko, Kibondo, Kasulu DC, Kasulu TC AND Uvinza (for WASH and Agriculture). The programme is currently being funded by Norwegian Government, KOICA and core funds from UN Agencies.